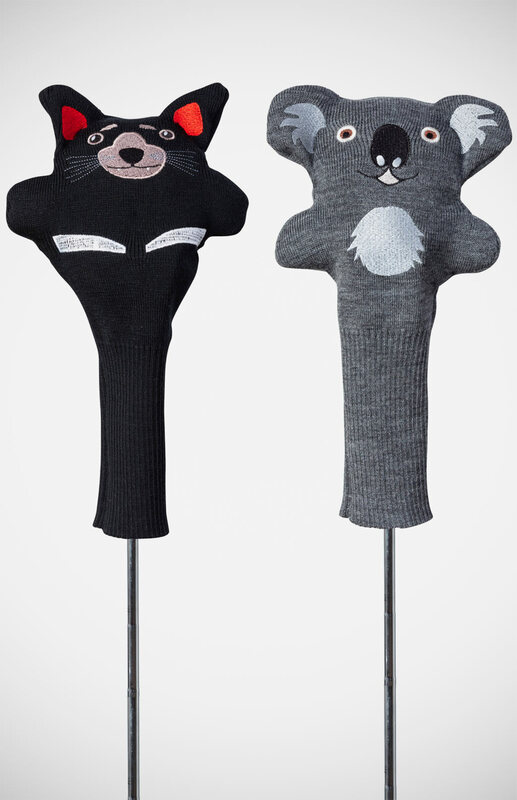 The perfect gift for any golfing enthusiast, these Tasmanian-made Golf Club Covers are designed to fit on the wood and not only protect your clubs, but also brighten up the green any time you play! Available in Tasmanian Devil or Koala. Handmade here in Tasmania by those with a fantastic mission in mind - "To enable people with intellectual disabilities to experience meaningful employment in a supportive environment."